Since 2003 the site had been a “virtual estate” that fans could explore and find things to click on, but in the 2004 version, we started to bring in elements to the “virtual estate” to make it easier to navigate. Instead of only going through a space we called the Foyer and clicking on stairwells to get to other parts of the site, we added a kind of sitemap to the main home screen. It resembled multiple TV screens and allowed quick access the main sections of the website. We also added a lot more movement and cleaned up the experience a great deal. The Musicology Download Store was made available in 2003, but in 2004 we gave it an upgrade to give it a more “music tech” vibe. It was made to look like a mixing console on a mixing board, which each Prince album on a different fader. We added a Download Store in 2006 that resembled a studio rack system, once again giving it a “music tech” vibe. The NPG Music Club won a Webby Award in 2006 for Best Celebrity/Fan Site, and Prince separately won a Lifetime Achievement Webby Award at the same ceremony on June 12, 2006. 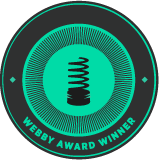 By the time we won the Webby, we were selling 7 downloadable albums of exclusive music and all of Prince’s independent catalog. With videos and singles, the music was flowing from the site on a regular basis, making it one of the only artist-owned music distribution hubs at the time. How did you get the gig with Prince? needs some help, a lot of help IMO. Please let me know when u can. After a bit of chatting, Sam sent along some files, I took a look and it just kind of organically took off from there! Wow this is a tough one… Very difficult to explain but it was a combination of being given complete freedom to explore and experiment with new ideas while also being held up to a very high (almost unattainable) level of quality. Most of my work followed some of the trends of the time, pseudo realistic looking interfaces, lots of tiny pixel fonts, and rich textured images. I was always very nervous putting new work in front of him but once I received approval on a piece and got to put it out there for the fans it was great. Watching their reaction was always super fun and exciting. What was your number one goal for the site, and how close did you get? Sam and I have some designs and in-progress work from that time which definitely gives an idea of where we had hoped to take it. I think mainly it was bringing everything under one cohesive umbrella and just making things more exciting and easier to access for the fans. This was still pre (most) social networks so building a community on our own was still the big driver. There weren’t a lot of tools available for uploading music and videos so it was more about building what we wanted and ensuring it worked and was fun for the fans. I would say we were halfway there when the club was shuttered, it was a blow for sure and I think we both feel as though we were never able to get the club to exactly where we wanted it to be. Hmm, favorite… Definitely the last version of the musicology store. Unfortunately it only partially works now as it was all built using “old” technology. The store was so gratuitous and just over the top, it’s very hard to think about how sparse and clean the web is now compared to then. Mostly it’s a good thing but sometimes I do miss the days when it was all about wowing the users and just making interfaces as fun and animated as possible. Ok least favorite? Just how fragmented everything was. Working with Sam to try and stand back up as much as possible just solidified this for me. Files are everywhere, navigating through the site was kind of a mess, we were working to fix that but just never got there unfortunately. Do you have a memory with Prince that really stands out? I do! Many in fact but I was actually just talking to a good friend the other day about one moment that really struck me emotionally. At the time I was working with a good friend Kel who was animating some of the visuals for the large screen during the Musicology tour. We were driving up to see Sam and to see the show in Chicago (I believe this was at AllState Arena). It was obviously a great show and we just had a blast hanging out with fans, but about midway through the set all the lights went out. I have no idea how many people were in attendance but it was packed I would guess at least 15-20k fans were in the stands. When the lights went out at first there was cheering, then a single spotlight on a stool, then Prince sat down and started to play an acoustic version of “Little Red Corvette”. Other than a few songs I had never really heard him play solo before, and not on acoustic, it was amazing. The fans were singing along and he just owned the arena that night, it was amazing.